“Alcoholics Anonymous (A.A.) taught me how to live. The spiritual solution this program taught me has held up to every problem I have encountered over the last 14 years. I never have to drink again and neither does any other alcoholic—and that is an actual, literal miracle,” Nikki, a mom of two, says. A.A. has been changing lives for over 80 years. Founded in 1935 by Bill W. and Dr. Bob, the two men modeled the program on The Oxford Group, a religious movement that practiced self-improvement by performing self-inventory, admitting wrongs, making amends, and using prayer. Within a few years, Bill and Dr. Bob developed the Twelve Step Program and wrote Alcoholics Anonymous, commonly known as the Big Book, which is still read by A.A. members. 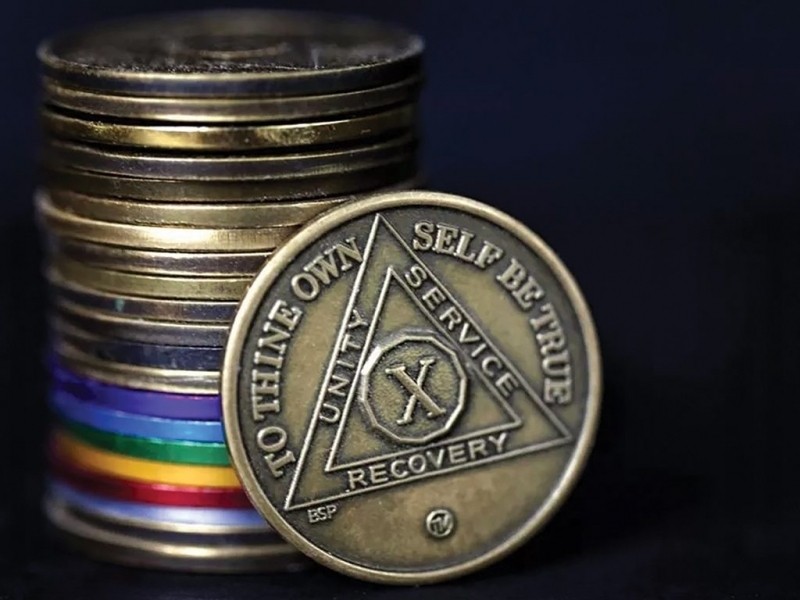 The A.A. Preamble, also read at meetings, clarifies that it is “a fellowship of men and women who share their experience, strength and hope with each other that they may solve their common problem and help others to recover from alcoholism. The only requirement for membership is a desire to stop drinking.” A.A. membership does not require any dues and is self-supporting, multiracial, apolitical, and available almost everywhere. A second alcohol-related arrest in six months led Erin to A.A. Her father handed her the Big Book and told her it was time. She remembers her first meeting, “I sat in that meeting on a Sunday and I cried the entire time they read ‘How It Works,’ which is part of Chapter 5 in the Big Book. Every word they read was hitting me right in the head. And I just cried and cried because I knew it was the place I was supposed to be and it was the last place I wanted to be. I am a rare case who just came into A.A. and got sober. I didn’t go to treatment. I just kept coming back and just kept not drinking.” Erin started a routine of a morning meeting, work, and an early bedtime every day for three years.